Can you really “know” a person just by meeting them? After a couple thirty-minute meetings can you really know whether or now they’re trust worthy? Some people have mastered the ability to disguise themselves. 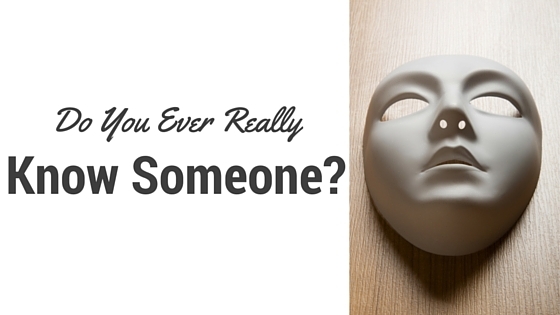 It’s easy for an employer or recruiter to believe an honest face and a take a chance. Can you afford to take that chance? News articles report one-third of all application forms contain outright lies! Your safety and the safety of your business are important. Checking into the history of a prospective employee or even a new acquaintance is easy in this digital age. Unfortunately, sites like Facebook and Linkedin only show you the information people want you to know. Using background checks is simply a matter of good business. When you hire employees you are entrusting these individuals with increasing amounts of responsibility. They will be around your clients and other employees. You should feel sure that the person is ethical and has integrity. Whether it’s to minimize the risk of theft or to reinforce security, you should always rely on background checks to help make your decision. If your organization has numerous volunteers, you know that each person presents a valuable component to the work you do. Volunteers are screened for many of the same reasons employers conduct background checks. We can help you to verify an identity and weed out potential problems; especially problems that could arise from an undisclosed criminal history. Employee background checks are more common these days than ever before. Finding out the truth about someone using a background check is quick, inexpensive and allows an employer or H.R. Department to take the work out of hiring.